"There are only two ways to avoid wicked and thorns, crush them with shoes or stay away from them. 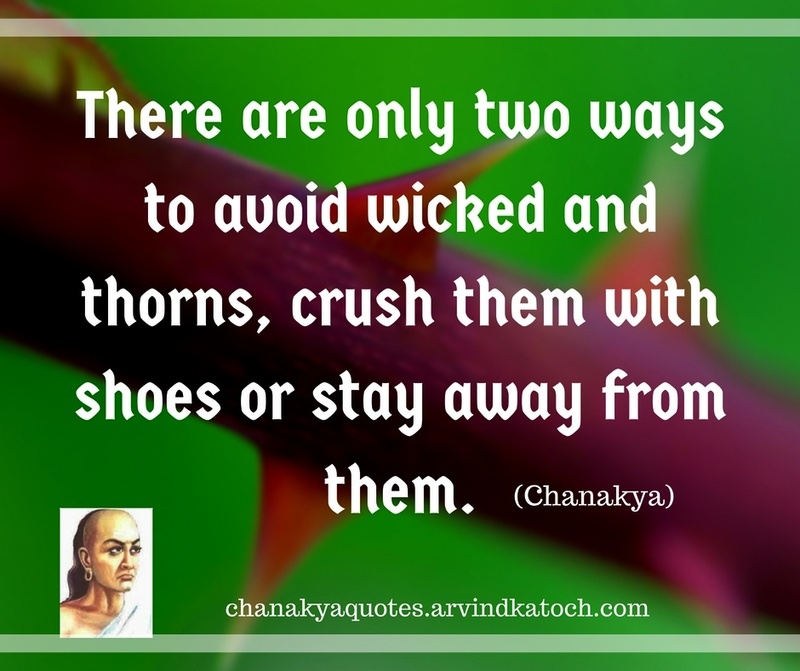 Chanakya"
Chanakya Quote Meaning- In this quote, Chanakya advice to people to stay away from evil people because such people will keep on trying to malign or harm you. When you will be away from such people, you can save yourself from their influence or attacks. Chanakya Quote Meaning- In this quote, Chanakya tells the things needed in a person if he wants to reach the higher levels of spirituality. To rise to divine hood one must be pure in speech, mind, sense and heart. 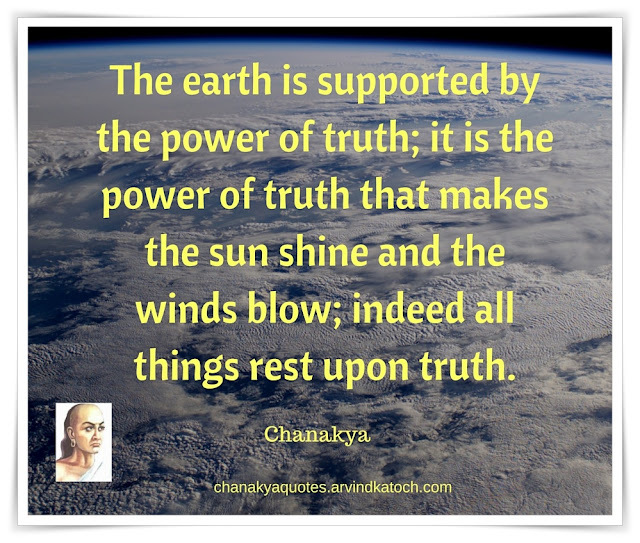 "The earth is supported by the power of truth; it is the power of truth that makes the sun shine and the winds blow; indeed all things rest upon truth. Chanakya"
Chanakya Wise Quote Meaning- In this quote, Chanakya explains the importance and power of truth. According to him, most powerful force in this world is truth and even the earth is supported by it. 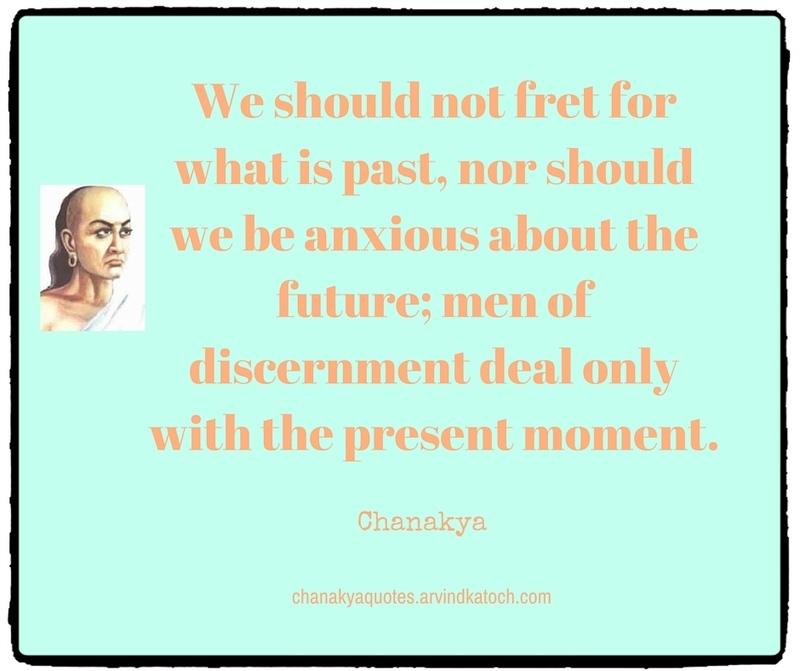 "We should not fret for what is past, nor should we be anxious about the future; men of discernment deal only with the present moment. 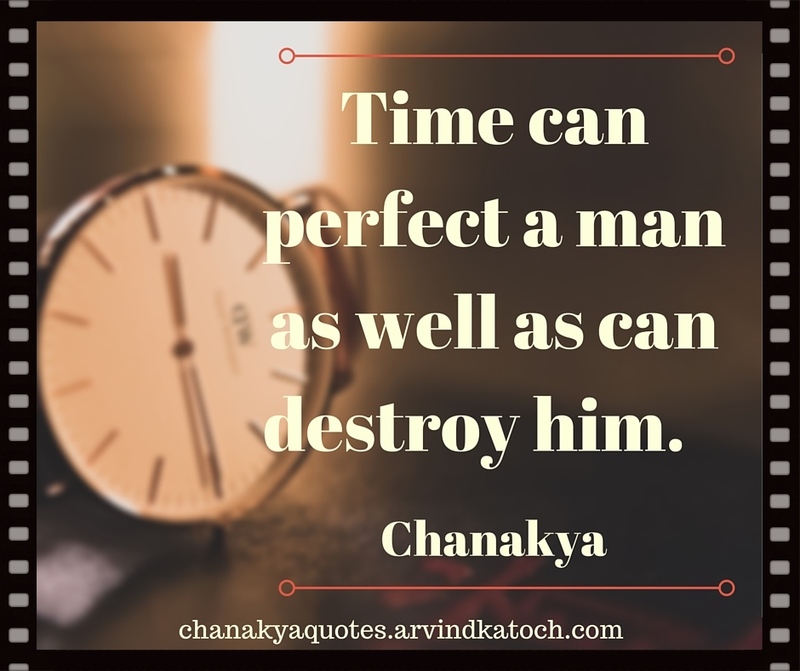 Chanakya"
Chanakya Wise Quote Meaning - Through, this quote Chanakya gives message that a wise man always gives importance to present moment only. He never frets about the past and nor he remain anxious for his future. "As soon as the fear approaches near, attack and destroy it. Chanakya"
Chanakya Wise Quote Meaning - It is very important to destroy fear when it tries to come near us because we don't do so then it will make us weak. Therefore, when you see fear approaching your side do attack and destroy it before it can harm you. 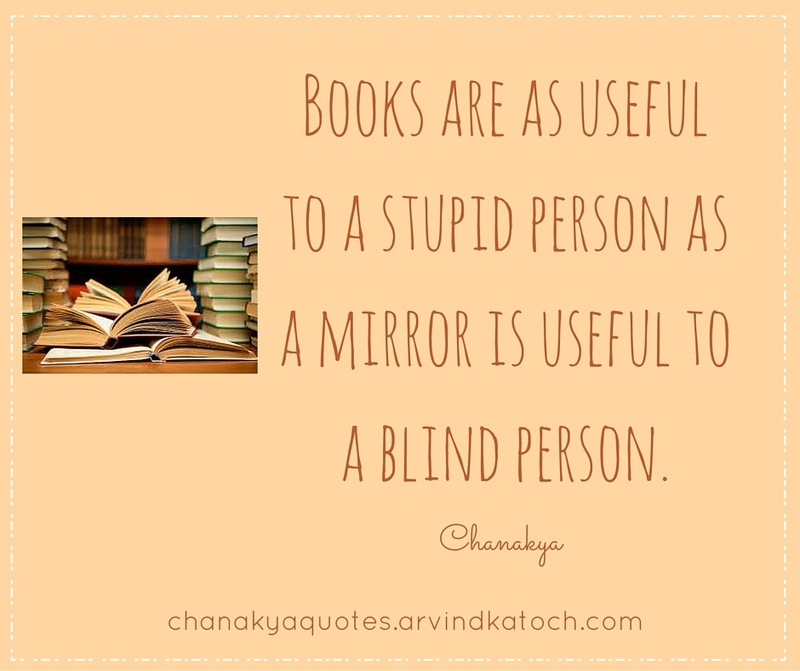 "Books are as useful to a stupid person as a mirror is useful to a blind person. Chanakya"
Chanakya Wise Quote Meaning - Chanakya wants to convey that as a mirror is of no use for a blind man so stupid people also can't take any advantage from the books, thus books are useless for them. "Time can perfect a man as well as can destroy him. Chanakya"
Chanakya Wise Quote Meaning/Explanation- In this Quote, Chanakya says that time has great power and it can easily destroy a man as well as can improve his life.